Have you seen The Cove in the news? 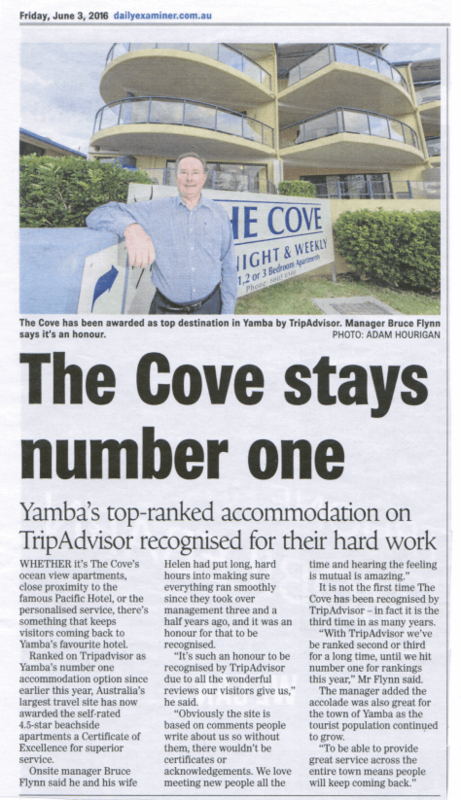 We were very excited this week to be featured in The Daily Examiner for being awarded a certificate of excellence for being the top destination in Yamba by TripAdvisor! We couldn’t have won this award without all of the lovely comments and reviews our past guests have left for us. Book your stay at the award winning The Cove Yamba Holiday Apartments today.